As this sits on the outer wall, the back end of the beam is cut at an angle so it sits on the wall and can be screwed down. 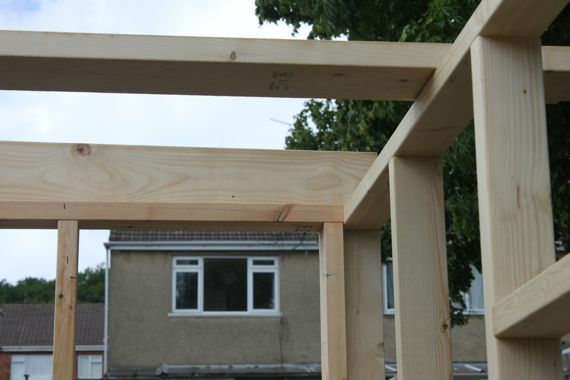 And here it easy, the frame all up and looking tip top. 3 Comments on "Day 5"
Your Megashed is looking the bomb shizzle!! EPDM for roof? Are you heat welding this or is it self adhesive? 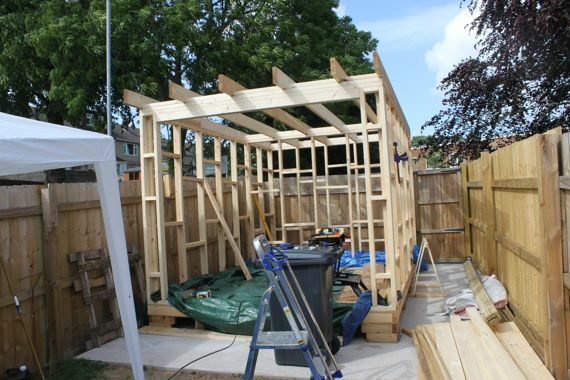 Looking at day 5 and the frame – its all looking very impressive. 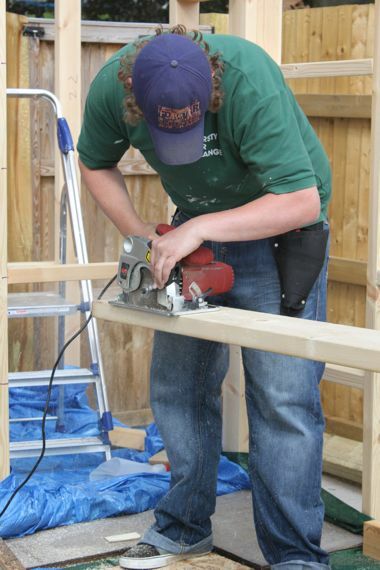 I didn’t know that you were so good at carpentry. 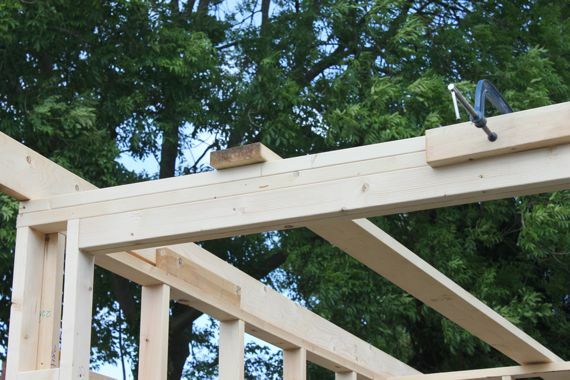 Where did you learn about doing all these woodworking joints? – Tell me please when we come over! It will of course add value to the house as well. But I know thats of secondary importance at the moment.